One thing that not many landlords realize in their dealings with servicemembers is that enforcement of the SCRA may come from an unexpected source. For the past several years, the Department of Justice has made itself available for active duty servicemembers who need legal advice pertaining to the Servicemembers Civil Relief Act. This means that landlords and other people who may brush up against this important law who are counting on the difficulties involved in bringing a legal complaint to protect them from prosecution under the SCRA may want to reconsider their position. In late 2009, then civil law attorney for the Warner Robins Air Logistics Center legal office Debby Stone wrote about her experience working with the Department of Justice to protect the SCRA interests of an active duty servicemember. Stone explained that her experience in providing legal assistance to servicemembers relating to their position as tenants was often challenging up to that point because of the expense and difficulty involved with bringing a lawsuit. 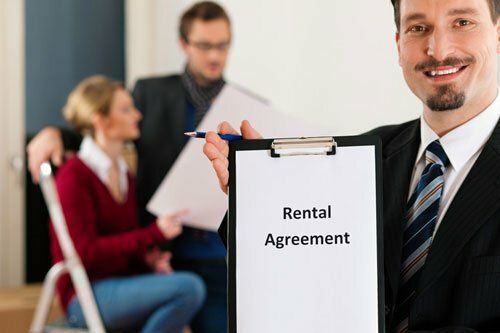 Generally when a tenant’s problem fell within the protections offered by the SCRA, the attorney would begin by explaining the law to the landlord. If the landlord didn’t respond to calls and letters or simply continued to refuse to abide by the SCRA, the client was left with two options: sue the landlord or give up the case. Both options generally resulted in lost money or time. Thanks to the Department of Justice’s decision to partner with the Warner Air Logistics Center legal office and other such organizations, active duty servicemembers may now go through the department with legal complaints. The efficacy of this approach was made clear in a case from the same year that Stone chose to highlight. In September of 2009, a servicemember who consulted Stone was having trouble with her lease. She had to terminate her home lease early because of a permanent change of station – active duty servicemembers have this special right to compensate for the frequent, often unexpected moves necessitated by their duty. Despite having complied with all of her legal obligations under the lease and the SCRA, as well as documenting evidence that she had caused no damage to the residence, her former landlord was refusing to return her security deposit, pet deposit or overpaid rent. At this point, the servicemember sought the help of Stone’s office. After communications from Stone were met with a refusal to return the money, she opted to contact the Department of Justice. The DOJ’s Tanya Kirwan took the case. Kirwan contacted the landlord in question and explained that the Department of Justice would be prosecuting the case. The landlord was surprised at the idea that the DOJ would be representing the tenant, but was even more surprised to learn that the Department was not representing the tenant but the United States government. The landlord wisely chose to return the clients money and an additional sum for the difficulties she experienced. This amounted to a sum of over $5,000 – not a trivial amount for a landlord-tenant lawsuit. This partnership between the Department of Justice’s extensive legal arm and the various branches of the uniformed services is a potent tool for prosecutors in cases involving the SCRA. This case should serve to further highlight the importance of complying with this important law and regularly performing active duty military status verification whenever necessary. The penalties for non-compliance can be severe, both in monetary and punitive terms, including jail time in some circumstances. The Servicemembers Civil Relief Act Centralized Verification Service can help to make this process simple, affordable and effective.